Professor Steger joined the Faculty of Law in 2004 where she teaches and conducts research in the areas of international trade, investment, dispute settlement, international arbitration and the governance of international organizations. She was the first Director of the Appellate Body Secretariat of the World Trade Organization from 1995-2001. During the Uruguay Round, she was the Senior Negotiator for Canada on Dispute Settlement and the Establishment of the World Trade Organization as well as the Principal Counsel to the Government of Canada for all of the Uruguay Round agreements. She also served as General Counsel of the Canadian International Trade Tribunal. 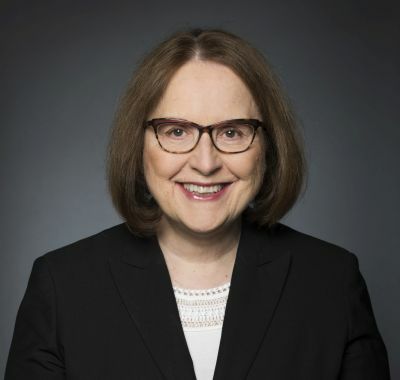 From 1988-1994, she taught international trade law as an adjunct professor, and in 1995, held the Hyman Soloway Chair in Business and Trade Law at the University of Ottawa. She has also been a visiting professor at The Hague Academy of International Law, Columbia University, Washington College of Law American University, the University of Toronto, and the University of Victoria. Her research is focused on global economic governance with an emphasis on improvement and reform of international economic organizations, international trade and investment agreements, and dispute settlement mechanisms, such as the WTO and investment arbitration. She led a major international and national research network as Scientific Director of the Emerging Dynamic Global Economies (EDGE) Network, a Network of Centres of Excellence (NCE), devoted to responding to the challenges of the emerging economies in the changing global landscape. She was also co-leader of a major international collaborative initiative, the Canada-EU Trade Environment Technology Exchange (TETE), aimed at managing the interfaces among trade, environment and technology policies and encouraging regulatory cooperation related to the Canada-EU Comprehensive Economic and Trade Agreement (CETA) negotiations. Professor Steger is a member of the editorial advisory board of the Journal for International Economic Law, the program advisory committee of the Canadian Ditchley Foundation, and the International Scientific Review Committee, National Centre of Competence in Research Trade Regulation, Swiss National Science Foundation. She is a member of the executive boards of the Canadian Council on International Law and the Canadian Branch of the International Law Association. She has been appointed to dispute settlement rosters, including the Agreement on Internal Trade; served as a panelist in WTO and NAFTA disputes; acted as counsel to governments in several WTO and NAFTA disputes; and provided technical assistance and training to developing country Members of the WTO. She has an LL.M. from the University of Michigan, an LL.B. from the University of Victoria, and an Honours B.A. from the University of British Columbia. A frequent writer and commentator, she has published 11 books and over 140 articles, book chapters and reports. Her latest major work is a five-volume edited collection: The World Trade Organization: Critical Perspectives on the World Economy (Routledge, 2014). "Peace Through Trade: Building the WTO"